The Wizard- quote. . Wallpaper and background images in the Seinfeld club tagged: season 9 seinfeld jerry George the wizard elaine. 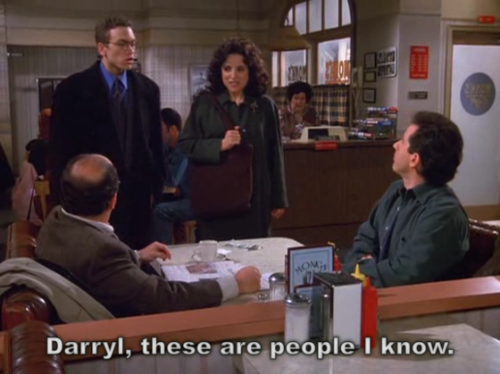 This Seinfeld fan art might contain brasserie, bilik bacaan, bilik lembaga pengarah, dewan majlis, and lembaga pengarah.